Are You Backed Up on the Cloud? The technological world we live in today is ever changing. As newer technologies arrive, every business is impacted in some fashion. How can a company keep up to date with something that can change in the blink of an eye? VITEC Solutions understands this and wants to help. By making VITEC Solutions your IT company, you have access to a cloud computing network that is on the cutting edge. All of your networks will be faster, safer, and more secure in order to help your business run as smoothly as possible. Why set limits on where and when your employees can work? The most efficient businesses today have employees completing tasks anytime, anywhere. Cloud computing allows for your employees to have access to any file, no matter where the job might take them. Whether you are a small company with only a few clients, or a large multi million dollar corporation, VITEC Solutions has the information you need when you are approaching cloud computing. 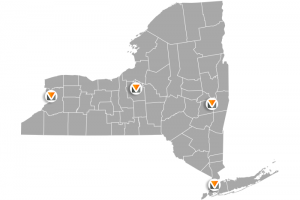 We have locations in Albany NY, Buffalo NY, Syracuse NY, and New York City. We will help you understand how to make your business run smoothly, while offering all the IT help you could possibly need. No matter what your business, an IT company with cloud computing services is your way of staying one step ahead on the competition. If you are in need of cloud computing services in Buffalo, Albany, Syracuse, or New York City, VITEC Solutions is your top choice. Give us a call today to find out more about how VITEC Solutions can help.